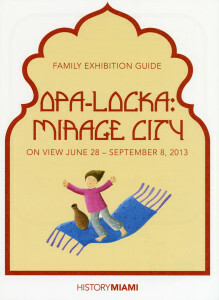 Opening June 28, 2013, “Opa-locka: Mirage City” was an exploration of one of South Florida’s most architecturally unusual places. Inspired by stories from the Thousand and One Nights (and the names of characters from the tales), developer Glenn Curtiss created a city that is at once an eccentric dream, an exotic Middle Eastern urban oasis in a subtropical paradise, a kitschy tourist attraction, and an architectural conceit more akin to a Hollywood film set than a flesh-and-blood town. 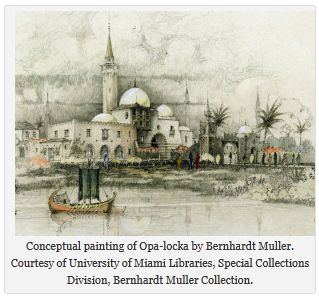 Founded in the 1920s in an undeveloped area of northwest Miami-Dade County, Opa-locka flaunts a highly romanticized interpretation of an exotic cultural milieu popularized by Hollywood films and archeological discoveries of its time. 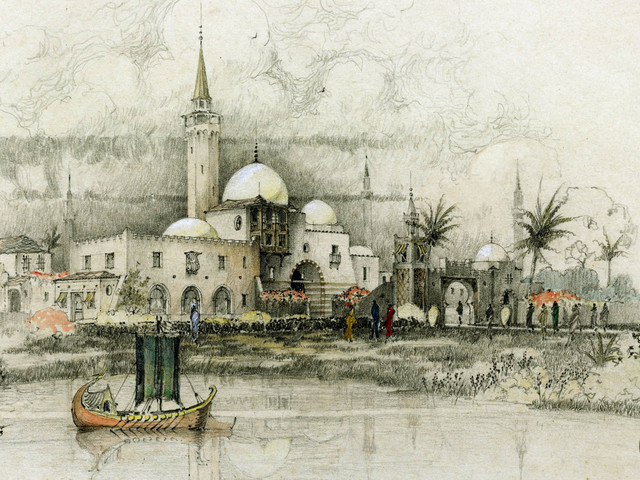 “Opa-locka: Mirage City” presented original drawings and architectural models, reinvigorating the city’s fabled original vision with the goal of sparking interest in Opa-locka’s iconic design and encouraging efforts to preserve its endangered architectural heritage. Curated by Jose R. Vazquez, Associate Professor of Architecture at Miami Dade College, and presented in conjunction with the Lynn and Louis Wolfson II Florida Moving Image Archives at Miami Dade College and the University of Miami Libraries, Special Collections, “Opa-locka: Mirage City” remained on view at HistoryMiami through September 08, 2013. Click here to read more information about the exhibition and HistoryMiami.